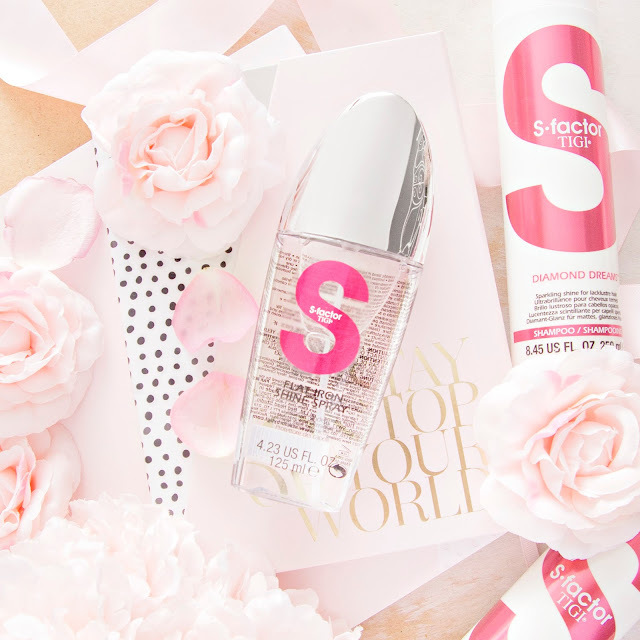 Before I buy any beauty product, I like to have a quick check of the Fragrance Direct website, because so often they will have the exact same product at a slightly discounted price. Some of my favourite brands that they stock include Clinique, Clarins, Bobbi Brown, NARS and Rimmel, but they have hundreds of brands, covering skincare, makeup, haircare and fragrance. In addition their already super competitive prices, they also offer a 10% Student discount all year round via UNiDAYS, so you can save yourself even more pennies. Right, now on to the haul. I always double cleanse my skin, and in the summer I'll opt for a micellar water for my first cleanse, just because it's the quickest way to remove the bulk of my makeup. However, with autumn approaching I find that the water style formula is just a bit too drying, so I've decided to try this Micellar Cleansing Oil from NUXE, which is still hassle free but is a little more gentle on the skin. 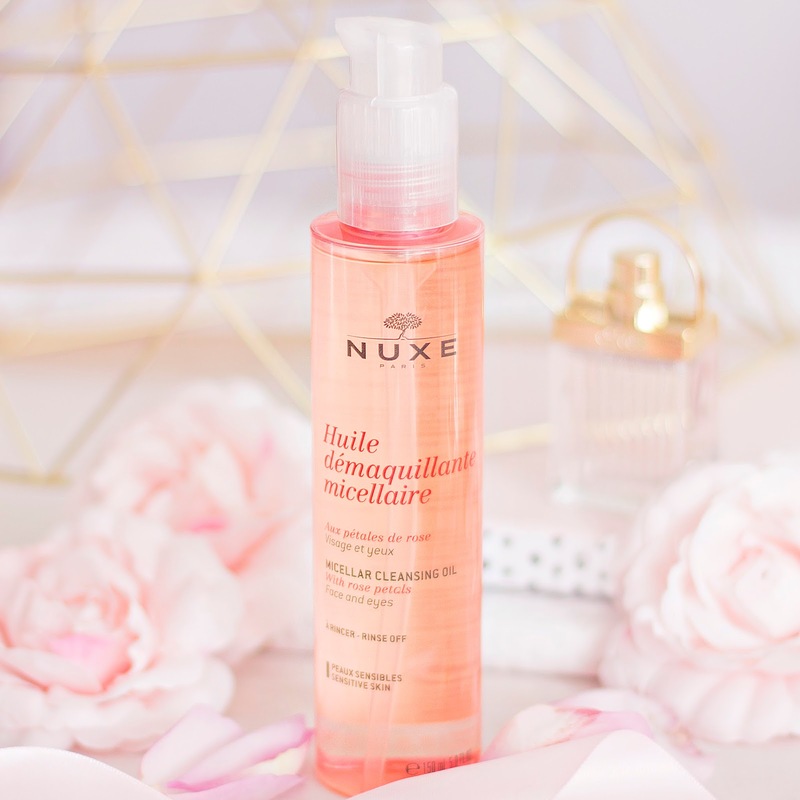 I love that this oil leaves my skin feeling super soft, but also completely removes my makeup, plus it makes my face smell amazing (thanks to the rose petal ingredient), which is something that you don't typically get from a micellar water. This set is a BARGAIN (capital letters required!) priced at only £17.95, containing 250ml bottles of Tigi S-factor shampoo and conditioner, plus a bottle of Flat Iron Shine Spray. I assume the low price is because the box actually has little snowflakes on it, so it's probably intended to be given as a Christmas gift, but since I am shopping for myself, I wouldn't care if it had Santa himself printed onto the bottles. All three of these products smell incredible on application, and they leave your hair smelling amazing even after styling. The shampoo and conditioner are nice, but don't do anything special for my hair (they certainly don't leave it sparkling as it says on the bottle- though I'm not sure I would want that), but the flat iron spray is the winner for me, as it definitely adds more shine to my locks, making it my current favourite heat protectant. I love buying blushers, in fact I probably own more of them then most other products (highlighters excluded), so I decided to try out this one from Clarins. I love the packaging of the compact, it's a very pale gold metal, and it comes in a little velvet pouch - very luxe. I opted for the shade Rose Wood, which is a warm reddish rose, because I already own lots of pink blushes. Within the mosaic effect there are two squares which contain shimmer, which you can swirl your brush into for an illuminating effect, or you can just dab your brush onto the solid shades for a more natural flush. I find this blush to be very subtle, but buildable, which I personally love because I can be a little heavy handed when I'm in a rush! I know I'm going to get a lot of wear out of this one in the autumn months. 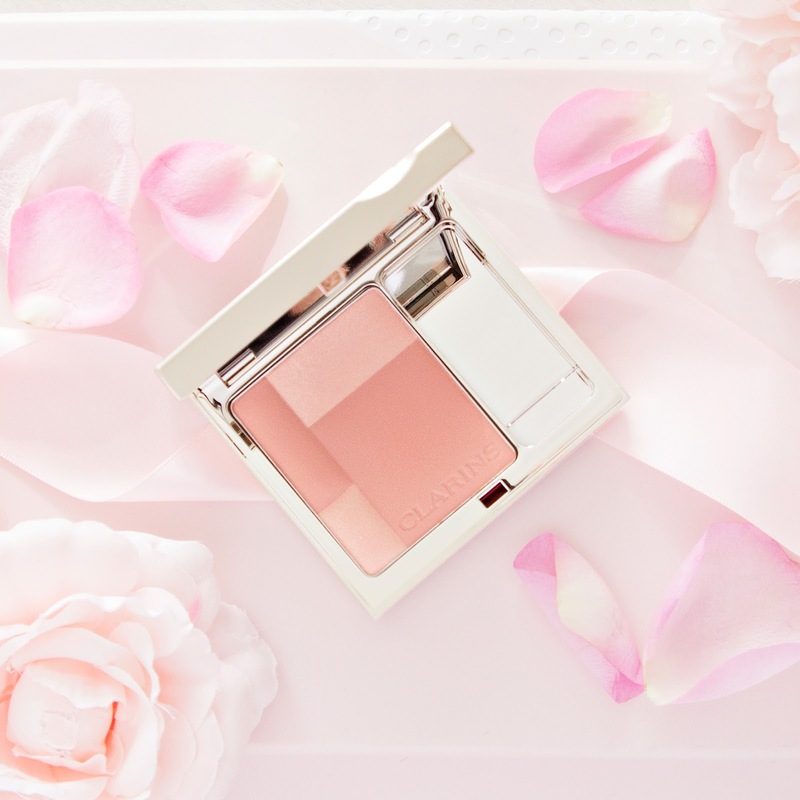 As a self-confessed blush addict, I also picked up one of Bobbi Brown's Pot Rouge Cheek and Lip products in the shade pale pink. I remember these bobbing around the blogosphere a few years ago, so I'm glad to finally have one in my collection! I've been applying this to my cheeks and lips with my finger, because I couldn't seem to pick up much product with a brush, but I don't mind as it means I can get a more precise application. I'm not too keen on the way the shade looks on my lips, I think it's a bit too cool of a pink tone, though it is incredibly comfortable to wear. However, I love the healthy flush it adds to my cheeks. As a dry skinned gal I like that this isn't a "blush to powder" formula, because that can leave me looking a little cakey, but if you do have very oily skin then you might want to pat a powder blush over the top of this one. 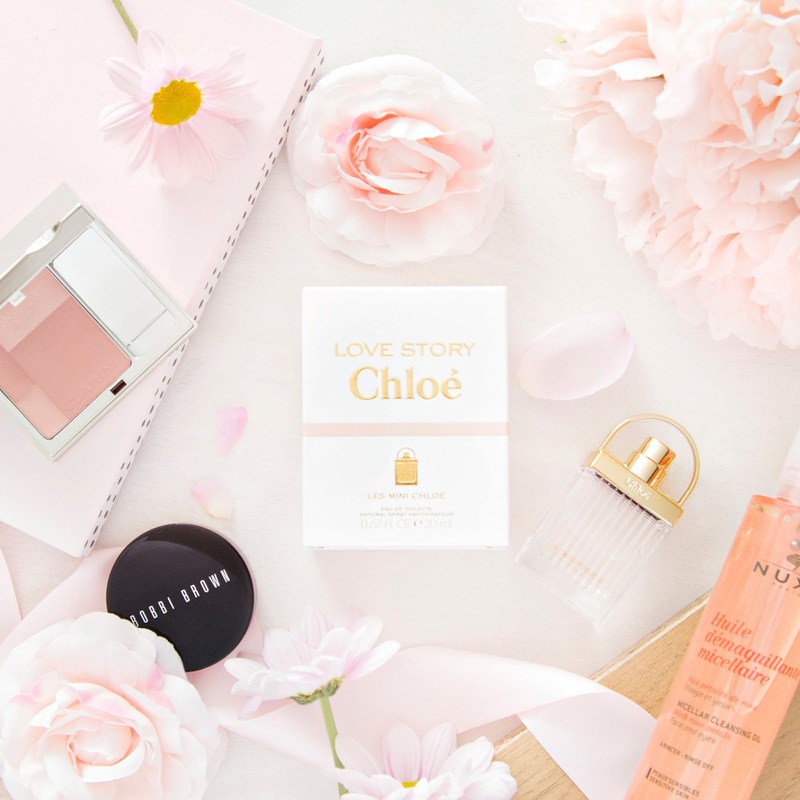 Of course it wouldn't be a Fragrance Direct haul without a fragrance, and this time I opted for an adorable mini bottle of Chloe's Love Story. 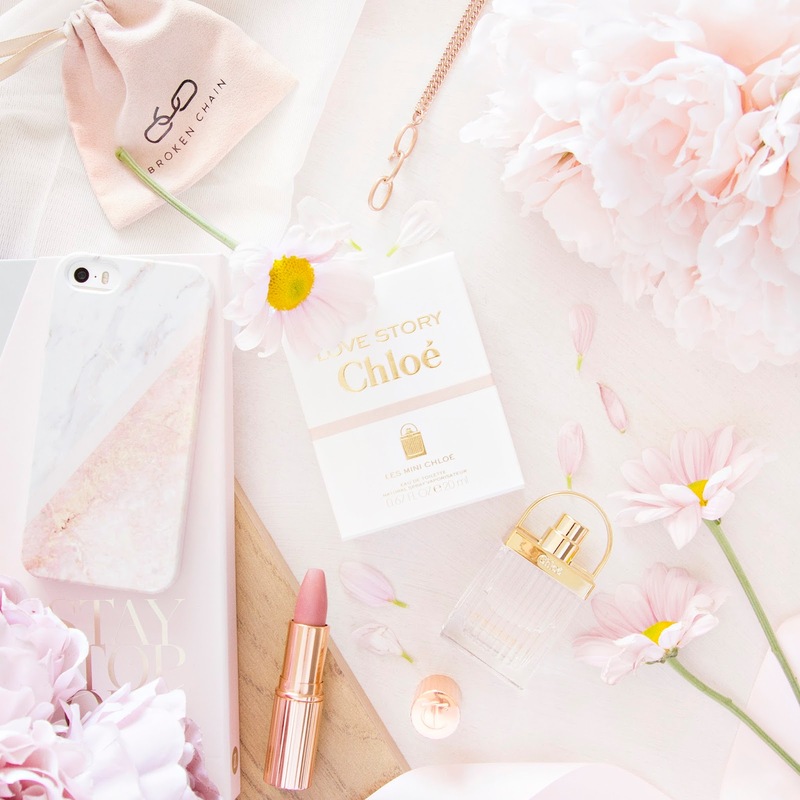 I love Chloe scents because they are so gentle and feminine, and this one is no exception, containing beautiful hints of orange blossom and jasmine. Once I've used up the little bottle I will definitely be heading back to the Fragrance Direct website to pick up the fully sized version. So that's my little summer haul, I'm so happy with the products I picked up. It's definitely inspired me to do another big Fragrance Direct shop soon, because they sell everything I need! 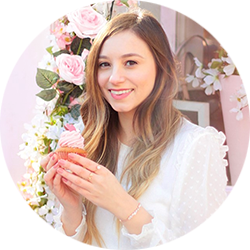 Will you be picking up any of the products I've featured?